While I’ve been a bit frazzled, I did remember to plan a Mardi Gras meal for our dinner last night, a tribute to one of my favorite cities. Just like he did last year, Mike started us off with a round of Sazeracs, and just like last year I made red beans and rice, though this time around I made a few changes. I was inspired by Leah Chase’s recipe which was reprinted in a Williams-Sonoma catalog I recently received, but I noted that her method called for a pressure cooker. 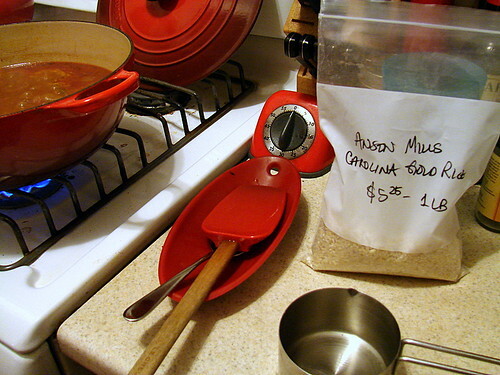 Since I don’t yet have one of those in my arsenal, I went with our trusty Le Creuset pot instead. I didn’t have a chance to run around and track down some good andouille, so I used some beautiful chorizo we recently got from Tamarack Hollow instead. I sliced that up and got it browning in a bit of olive oil, added one whole onion, chopped, and softened it in the fat. I added a pinch of salt and cayenne, plus a little bit of smoked paprika and stirred them through, then added about two tablespoons of fresh thyme and one bay leaf. I had soaked some gorgeous Anasazi beans from Rancho Gordo overnight, so I added those next along with their soaking liquid and two cups of my homemade chicken stock. I lidded up the pot and let the beans cook over low heat for about an hour and a half, until the beans were very tender. I added a bit more salt at this point, as well as a dollop of tomato paste for richness, then mashed some of the beans with a potato masher and stirred everything through. 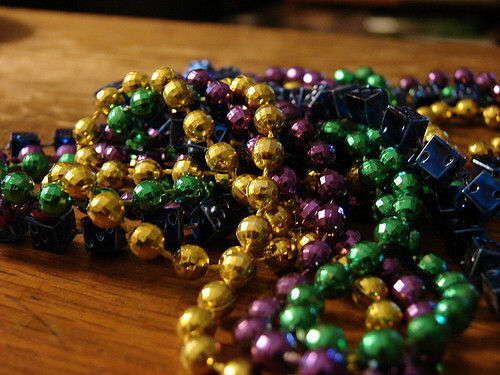 I ladled the beans over some steamed Carolina Gold rice, topped each serving with some sliced scallions, cracked open a couple of Abitas and we drank a toast – to the city of New Orleans, and to the future. It’s going to be an exciting year and I look forward to sharing the ride with you all. wow, that looks perfect! nice move swapping the sausage for something more indigenous to the area. where’d ya get that rice? some bulk place? Hey, thanks! I picked up the rice at Marlow and Sons a month or so ago. I had been looking for it all over, and the Anson Mills website was only selling it wholesale at the time, but I see that is no longer the case! I am actually waiting for more of it – I ordered some (along with some of the antebellum grits) from Formaggio Kitchen up in Boston. Wow! One year already? Congratulations, dear Jen. Your site is consistenly gorgeous and delicious. I’m still amazed at the meals you manage to create on weeknights. Here’s to many more years of LND! Melissa – thanks, sweetie! Looking forward to the next time we can share a meal! I have to say that your blog has inspired many a great meal at our house and I so look forward to more this year! 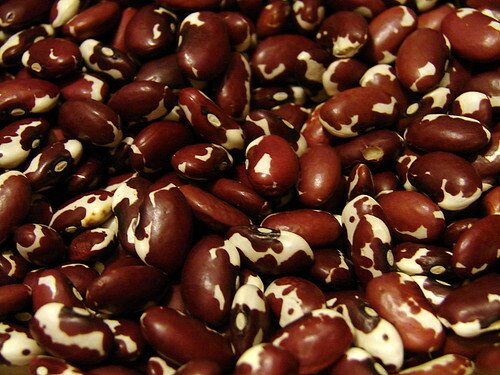 Those anasazi beans are so beautiful, but that mottled color cooks out, right? Is there a big advantage to the flavor/texture of anasazi beans, or could I use a different kind of bean? 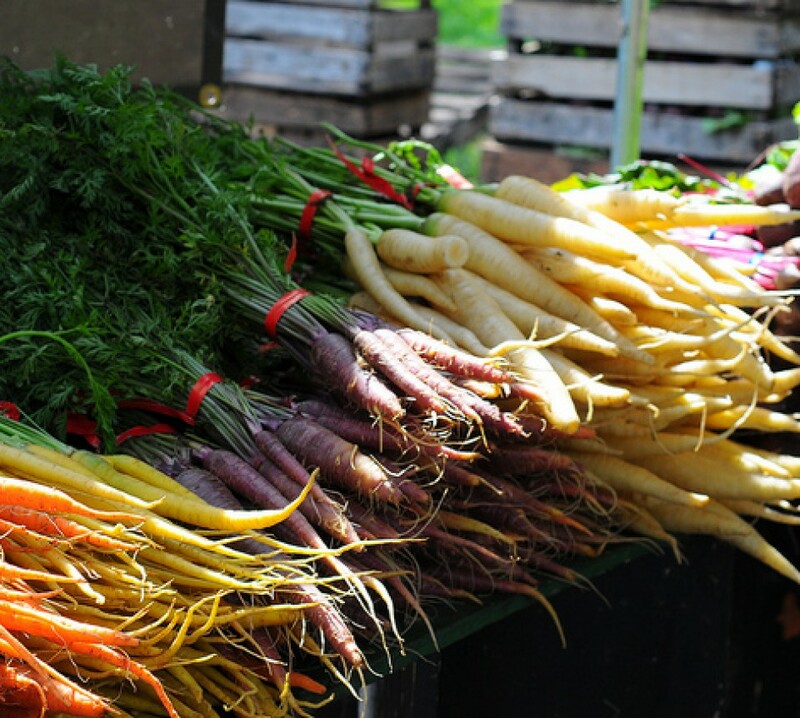 Lovely pics, and congratulations on a year of inspiring food-bloggery. Laura Grace – Yes, unfortunately they turn to a sort of uniform pale red. You could certainly substitute a different type of bean. I wanted to try the Anasazis out, and I loved their creamy texture, but I think any red bean would do. And thank you! Helen – Thanks so much! hey – ummm. let’s celebrate!!! claudia – I’ll bring the wine! I gotta get some of those rancho gordos, they look incredible! 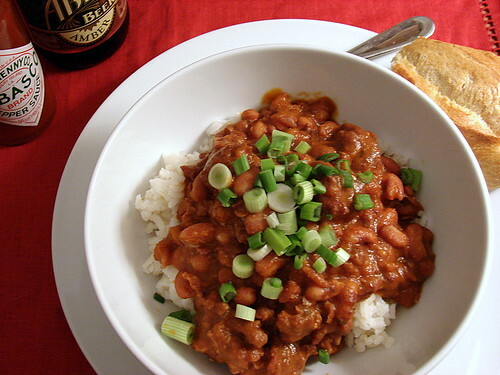 Chorizo in red beans and rice sounds yummy, although the talk of Mardi Gras and N.O. reminds me that I still have some andouille in my freezer…what to do? Also, that’s a *great* picture of red beans and rice. How do you do it? Happy Anniversary!!! I stumbled upon your site while searching for salad nicoise recipes. The picture was amazing. I’ve been hooked ever since!